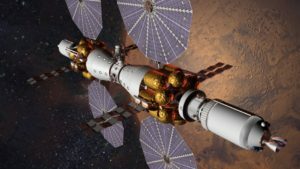 Two senior representatives of Lockheed Martin, one of the world’s leading aerospace and global security companies, will participate in the 19th Annual International Mars Society Convention, scheduled for September 22-25, 2016 at the Catholic University of America in Washington, D.C.
With the recent announcement of Lockheed Martin’s Mars Base Camp plan, which would transport astronauts from Earth to a Mars-orbiting science laboratory by 2028, Tim Cichan, a Space Exploration Architect for Lockheed Martin Space Systems Company, will discuss the new mission proposal during a plenary talk on Friday, September 23rd at 10:30 am. Mr. Cichan leads a multi-disciplinary team of engineers who figure out how to help astronauts and robots visit the Moon, asteroids and Mars. Having joined Lockheed Martin in 2002, he has worked for both human spaceflight and commercial communication satellite teams on optimal trajectory design, mission analysis, subsystem development and systems engineering. 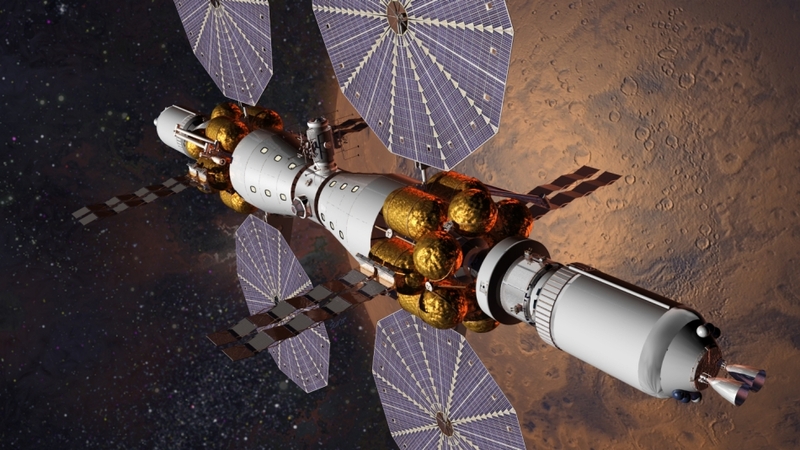 As a major supporter of STEM education, Lockheed Martin will also participate in the convention’s STEM Education & the Pathway to Mars panel discussion, set for Saturday, September 24th at 11:00 am. Representing the company will be Jennifer Mandel, Director of STEM Programs and the person responsible for Lockheed Martin’s Generation Beyond, an initiative to spark student interest in STEM and inspire the next generation of astronauts and engineers. Previously, Ms. Mandel managed strategic communications for the transportation solutions line of business within Lockheed Martin Information Systems & Global Services. She also served as director of marketing communications at Infotech Strategies, a public relations firm in Washington, D.C.
For more information about the 2016 Mars Society Convention, including registration details and full program itinerary, please visit our web site.